Praise the Lord Precious Members of the Body of Christ, I am delighted that God has allowed me to Pastor such a wonderful group of people. We have been ushered into the new Millennium with Total Victory! 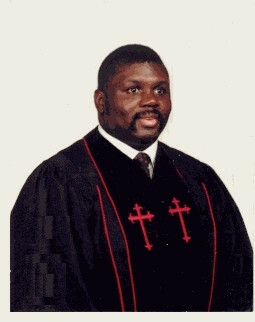 As the Pastor of Christ Temple Church, I thank my God upon every remembrance of you.. Being confident of this very thing, that he which hath begun a good work in you will perform it unitl the day of Jesus Christ. Philippians 1:3,6. Christ Temple Church of the Apostolic Faith Inc. is a section 501 (c)(3) nonprofit organization recognized by the Internal Revenue Service. Your tax deductible contribution will assist us in helping kids, parents and communities overcome life's most difficult challenges and face each day with Jesus as the Lord of their lives! "As for me and my house, we will serve the Lord"- Joshua 24:15. We are a small congregation, striving to be diverse and inclusive. In hearing God's word we work toward living responsible Christian lives in a complicated world. We rejoice in embarking together on our journey in faith. While we realize all our questions can't be answered, we are nurtured in community as we seek to know the will of our Lord. So regardless of your previous church experience or if you have just given your life to Christ...Welcome To Our Family! This web site contains answers to many of your questions about our church. Of course, if you still have questions feel free to speak to any of our church staff, or call the church to make arrangements to meet and discuss any concerns you may have. We love the Lord Jesus here at Christ Temple Church and are filled with His Spirit . We want you to feel welcome in joining us in expressing that joy and love as we worship together in our services. Thank you for visiting our web site and we hope to see you soon!